Your Pi will need to be running the latest version of Raspbian. This tutorial was written using Raspbian Stretch (Nov. 2018). Checkout our guide for Preparing an SD Card for your Raspberry Pi if you have not done so already. After the installation is complete be sure and run the following commands to make sure your installation packages and firmware are up to date. The adafruit-blinka package works on all Raspberry Pi boards (except the compute nodes). 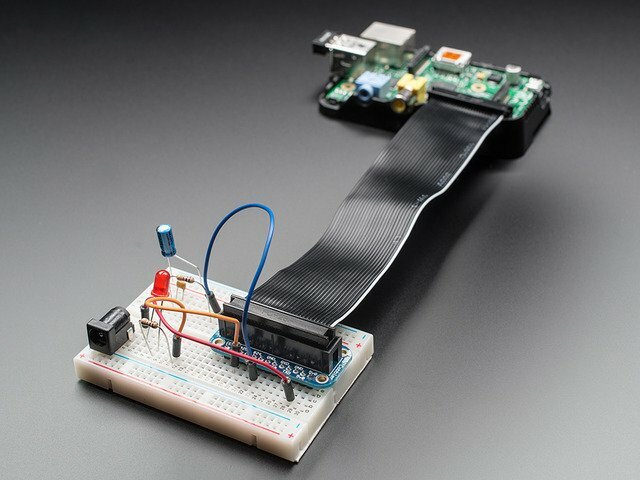 It makes the CircuitPython libraries available on Raspberry Pi. 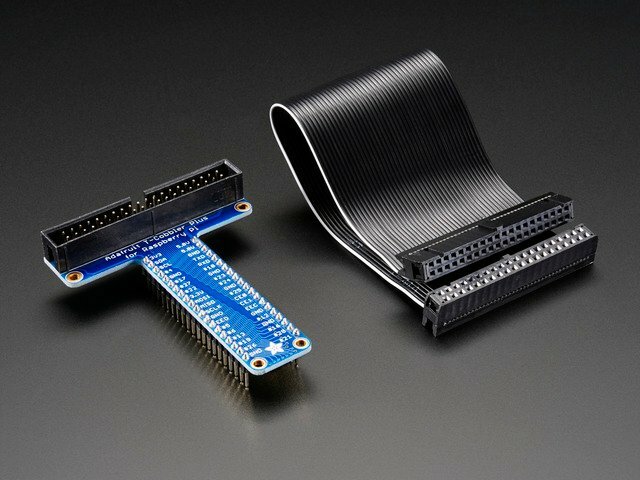 Wiring is simple using the Adafruit Pi Cobblers. Connect the blue right rail to ground and the red left rail to 3.3V. Then connect one side of the photocell to 3.3V and the other side to Pi GPIO #18 (you can use any pin but our example code is for #18). Then connect a 1uF capacitor from #18 to ground. Make sure the negative side of the capacitor (marked with a - down the side if its electrolytic) goes to ground. The capacitor just needs to be rated for 5V or greater, its really unlikely you'll find a 1uF that has less than 16V rating. We'll start with a basic photocell. 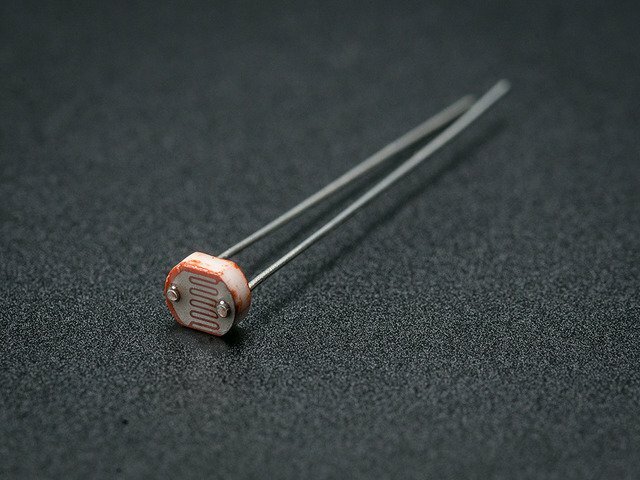 This is a resistor that changes resistance based on how bright the light is. You can read tons more about photocells in our tutorial but basically we'll be able to measure how bright or dark the room is using the photocell. 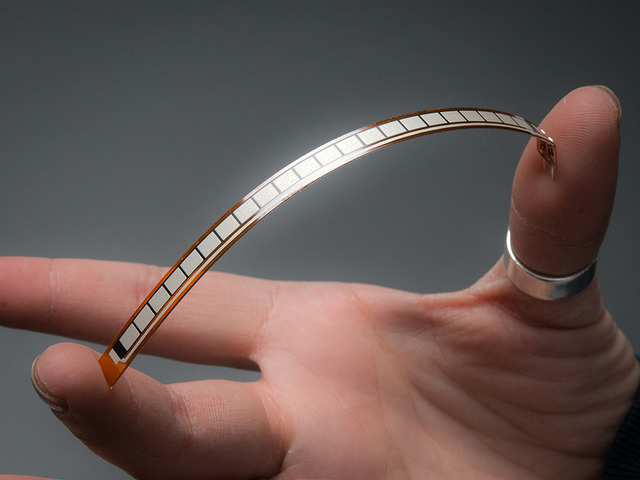 Note that photocells are not precision measurement devices, and this technique is also not very precise so its only good for basic measurements. 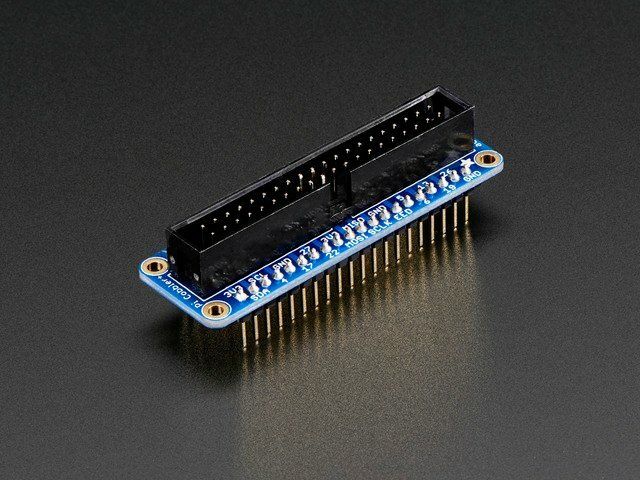 For precision sensing, you'd want a digital lux sensor like this one - we don't have a tutorial on connecting that to the Pi but we do have example code for Arduino. 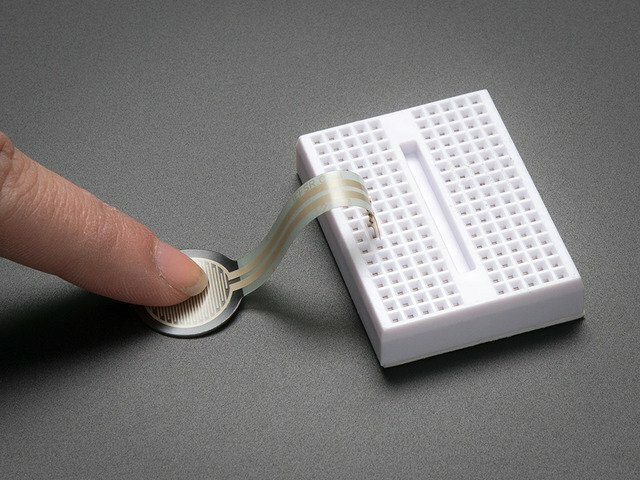 With the Pi connected to the Cobbler, run the script and shade your hand over the sensor to test it out! The following command will start the program and you should see the ADC output on your screen.